Laura* manages complex cases across the broad spectrum of litigation matters, from class actions to labour, competition, securities and commercial litigation. Laura deciphers the§ intricate issues and data in large document intensive files, and provides document management support utilizing a variety of e-Discovery software applications. Laura strives for the best results for clients through her dedication, devotion and impeccable attention to details‡ no matter the difficulty of the case. .
is a law clerk at Lenczner Slaght. Laura has provided support to several high profile, complex commercial cases, from the initial stages of the litigation process to preparation for trial and appeals at all levels of court and tribunals in Ontario. 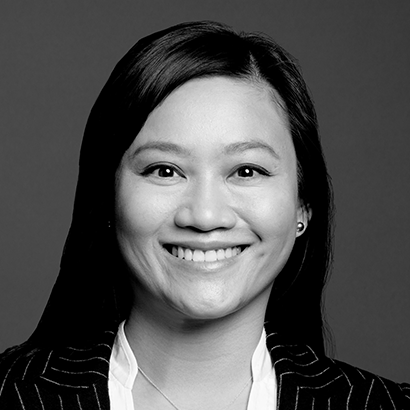 Laura has been working as a law clerk since 2005 in a range of commercial litigation, class action, labour, competition, and securities matters. She assists lawyers during all litigation stages, including the preservation and collection of documents, examinations for discovery, mediation, arbitration, trial and appeals. She also has extensive experience in managing voluminous documentation and provides document management support utilizing a variety of e-Discovery software applications. Laura is an active member of the Institute of Law Clerks of Ontario. To keep abreast of upcoming technology initiatives and developments, Laura regularly attends international legal technology association (ILTA) meetings. Counsel to defendant, Cassels Brock and Blackwell LLP, in an eight week trial commenced on behalf of a group of General Motors of Canada Limited dealers whose dealerships were terminated by GMCL as a result of the financial crisis and "auto bailout" in the summer of 2009. Counsel to the Law Society of Upper Canada in the prosecution of a lawyer for professional misconduct. A three member panel of the Divisional Court affirmed the decision of an Appeal Panel of the Law Society of Upper Canada that found the lawyer had committed acts of professional misconduct. The Divisional Court also confirmed his penalty of a one month suspension and its $200,000 costs award in favour of the law society. Counsel to the Law Society of Upper Canada in a successful appeal of a decision concerning unprofessional conduct by a barrister. Counsel in the defence of an insurance claim at trial on the basis of arson and misrepresentation. Successful in having trial judgment set aside on appeal due to failure of trial judge to make vital credibility findings.